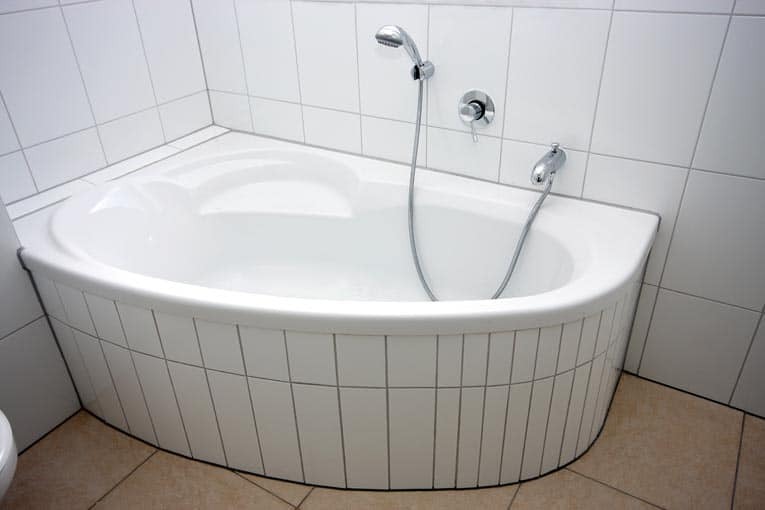 Free advice on buying a new bathtub with types, shapes, and materials to consider. Conventional 5-foot recessed bathtub is designed to be inset into an alcove. Traditional tubs as well as whirlpool tubs are available in four different styles named after the way in which they are installed. Recessed, corner, drop-in, and freestanding tubs come in a wide array of shapes, sizes, materials, and hues. In addition, they come in right- and left-handed versions, indicating where the drain hole goes. (There are also center-hole versions, but they are less common.) To determine the type you need, face the space and note where the plumbing is. Also referred to as an alcove tube, this style is set snugly into a space so that only the front needs to be finished. Because this aspect makes it more affordable—and also space efficient—it is the most popular tub on the market and widely available. Designed to fit into a standard 5-by-7-foot bathroom, the most common recessed tubs are 60 inches long and 14 inches deep; however, you can also find models that are 72 inches long and 16 inches deep. Many recessed tubs are molded from steel with an enamel finish; while this option is affordable, the relative light weight makes them noisy and they are likely to chip. A better, though more expensive, option is cast iron with an enamel finish, but you will need to assess whether your bathroom floor can support the weight without additional reinforcement. Small corner bathtub squeezes into a corner in a small bathroom. It’s rounded shape maximizes useable space. The basic corner tub is simply a tub that fits into a corner, with two unfinished and one or two finished sides. Think a recessed tub only with two finished sides instead of one. Other common shapes are triangular and box. Usually set into a platform, drop-in tubs can also be set into the floor. Some models have a rim that sits on the floor or platform; others are rimless so the tub is flush with the floor or platform and only the inside of it needs to be finished. A tub that has a raised platform is easier to get into and out off that one that is completely recessed at floor level. Drop-in bathtub mounts in a step-up platform. Available in a variety of shapes, many are manufactured out of acrylic or plastic that has been reinforced with fiberglass. They are lightweight, but they are also prone to scratching and dulling. 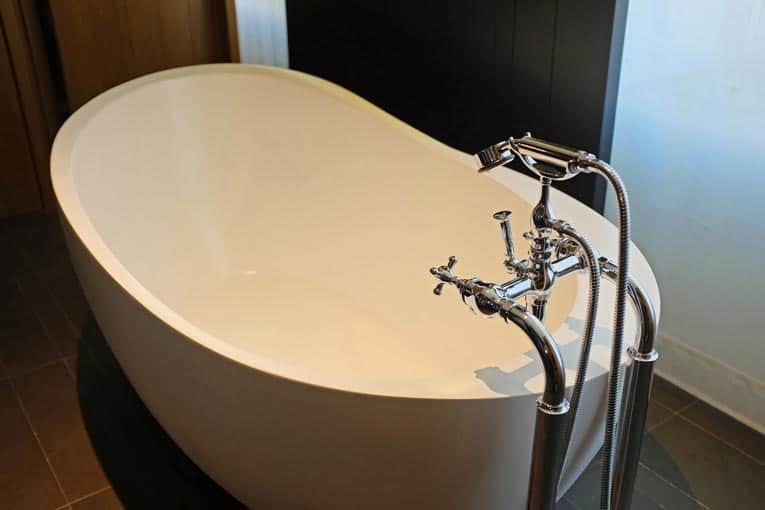 A tub formed from enameled cast iron is a sturdier option, but you will need to find out if your bathroom floor can endure the weight without reinforcement. The popular claw-foot tub fits into this category, but any tub with four legs qualifies. Most sit directly on the bathroom floor, though a few models are designed to fit into a platform. 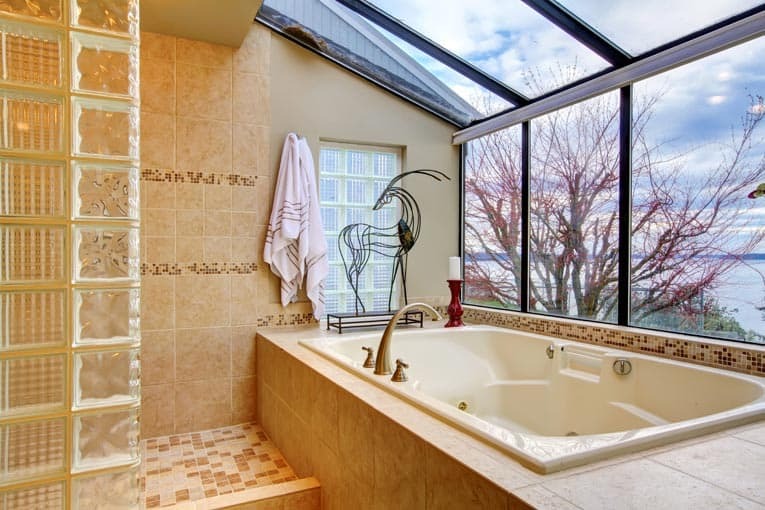 Freestanding bathtub is a sculptural centerpiece in this contemporary bathroom. 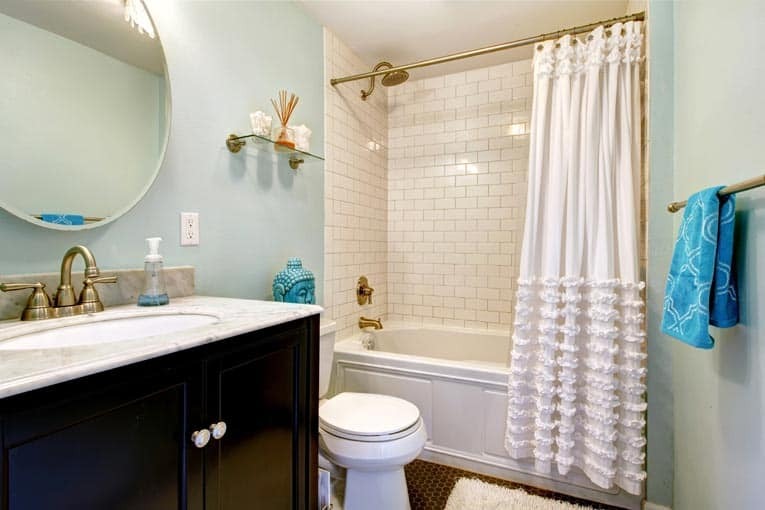 Since all sides are exposed, these tubs are the most expensive of the four styles. 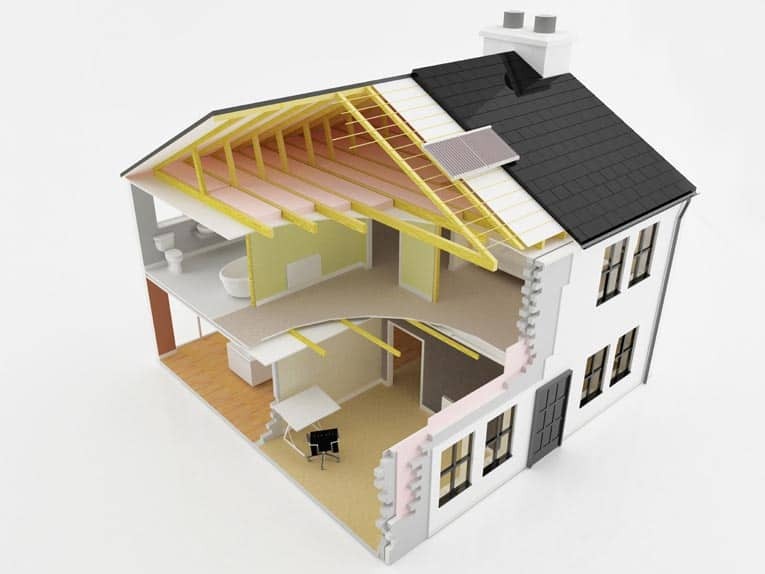 The least expensive option is a reproduction of an antique as these can be made from lightweight materials. The more expensive reconditioned antique will be made of cast iron, so again, here, you will have to figure out whether your floor can stand the weight without additional buttressing. A whirlpool tub is just like a regular bathtub except it comes with jets that provide a therapeutic hydro- massage. Whirlpools come in all four basic styles, with the drop-in being the most popular. Keep in mind that in addition to the higher cost of the unit itself, the tub may need special framing plus a dedicated water heater and electrical circuit. Whirlpool bathtub churns up a luxurious, soothing bath. Many shapes and styles are made. • How noisy is the pump, and can it be placed in a separate location? • Does the pump have a variable-speed control that adjusts the power of the jets? • Does the control set temperature, and does it have a timer option? Another option is not to buy a bathtub at all, but to build one instead. This is clearly a more involved option, but results in a completely custom tub. With this option, a mason builds a base that is connected to a drain in much the same way as a shower. Then tile—usually mosaic—is used to finish the surface. Mosaic tile covers the surface of this custom-made bathtub, an option that allows limitless flexibility.